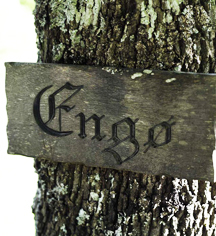 A stay at Engø Farm is a unique experience surrounded by beautiful scenery, historic buildings, relaxation, and culinary delights. The old inn building offers its guests a covered gallery and the intimacy of a cottage creating a harmonious setting and an interior decorated with warm/vibrant colours and tranquil charm. Engo Gard Hotel boasts a convenient location with modern amenities in every guestroom with unrivaled service. 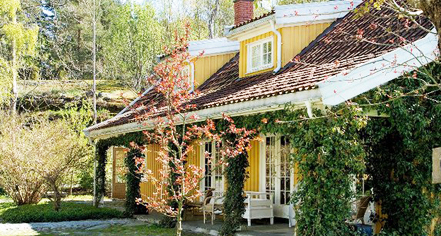 Engø Gård, a charter member of Historic Hotels Worldwide since 2011, dates back to 1845. During the Second World War the country inn closed but reopened until the 1960s when it served as a summer residence for the owners. Payment: All forms of payment are accepted. Payment is required at time of booking. Visa and MasterCard are accepted. Built in 1845, in the heart of a park on the Oslo fjord coastline, Engo Gard has been an idyllic country inn since the twenties. Originally known as Pihls Pensjonat, the modest guesthouse was slowly expanded and restored to great the luxury historic hotel it stands today. Learn more about the History of Engø Gård .